Kathleen Fennell, graduate of Gateway Senior High School and is in her third year at the University of Pittsburgh; Mike Fuoco, Newspaper Guild of Pittsburgh President and Leah Fleischel, who is in her fourth year at Robert Morris University and expects to graduate in December. 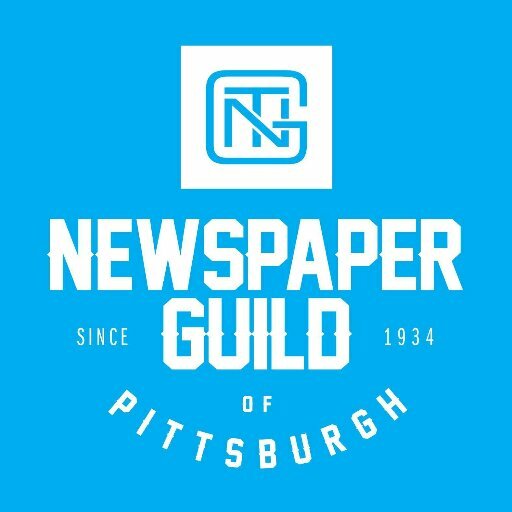 Since 1996, the Guild has awarded more than $50,000 to 39 college students who plan careers in journalism who either live in the Pittsburgh area or attend a college or university within the coverage area of the Pittsburgh Post-Gazette. The money can be used to pay tuition, purchase books and electronics, or help defray the expense of participating in an internship. Kathleen with her parents Tim and Kathy Fennell. 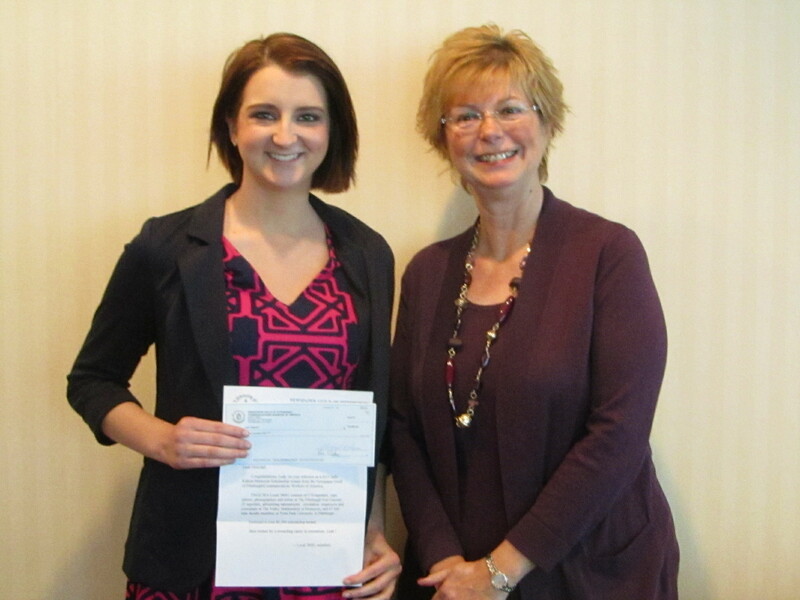 This is the first year the Guild awarded scholarships amounting to $2,500 each. They previously were $1,500 each. Also, from this year forward, the awards will be known as the Sally Kalson Memorial Scholarships in loving memory of our longtime colleague, friend and Guild leader who sadly passed away last year. Leah Fleischel with Carrie Moniot, Robert Morris student media advisor. A reporter for the Post-Gazette for more than 30 years, Sally was an award-winning Post-Gazette columnist and a longtime Guild officer and negotiator who wrote for the PG and worked for the Guild the way she lived life—with grace, humility, and a commitment to social and economic justice, civil rights, women’s rights, and human rights. From this year forward, Sally’s amazing legacy will be known by all of those who apply for the Guild scholarships. For more photos from the luncheon, click here.